WHERE WILL BE THE PICK UP-DROP OFF POINTS FOR PUBLIC TOUR-? * 2:30 AM Call Time- [ Manila ] -MCDONALD’S CENTRIS -ETD 3:00 AM.Any early departure will be advised especially during holidays to avoid traffic along NLEX. 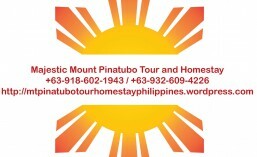 PLEASE ACCOMPLISH- REGISTRATION FORM PINATUBO SHARED TOUR-ANY DAY-FREE SHUTTLE-MANILA-CLARK-TARLAC TRANSFER. A DAY BEFORE THE TOUR-GUESTS WILL BE NOTIFIED IF THERE WILL BE A FREE SHUTTLE ROUNDTRIP. IF NONE,-THEY NEED TO EITHER ARRIVE VIA OWN CAR OR TAKE PUBLIC TRANSPORTATION OR RESCHEDULE THEIR TOUR. (required) I/We have read this information. IF THERE IS A FREE SHUTTLE-THE MINIMUM CAPACITY OF THE VAN IS 5 GUESTS TO MAXIMUM OF 15 GUESTS PER VAN TRANSFER. (required) I/We have read this information. 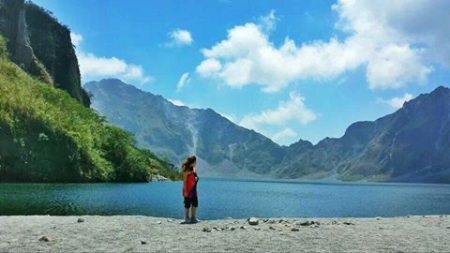 REGISTRATION-RESERVATION FORM -PINATUBO ATV RIDES. PLEASE ACCOMPLISH HERE.